They were friends first, studying at university, then they became a band. 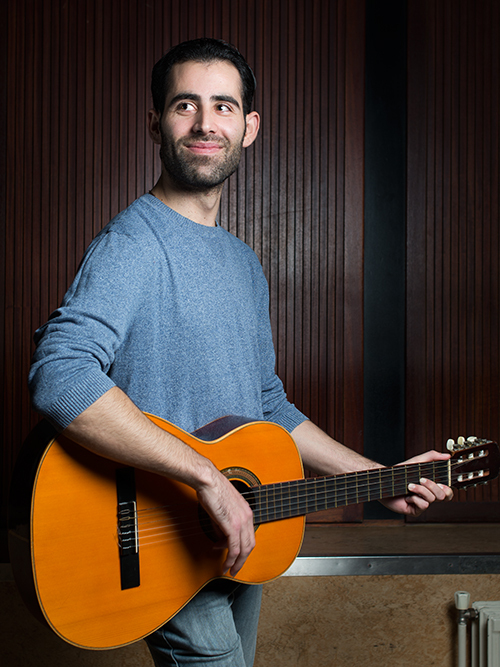 We meet the Syrian musicians Nezar (27) and Kenan (24) in the central hall of the Havenstraat, a former prison in Amsterdam, which is now being used as a refugee shelter. Around 220 men from Eritrea, Iraq, Syria and Afghanistan have a temporary home here. Dinner has just been served, and some people are still eating from a plastic plate. The hall is buzzing with men conversing. 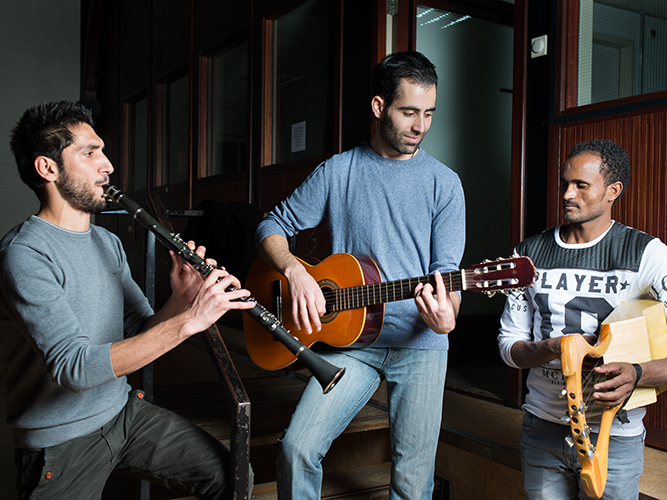 Nezar and Kenan want to talk about their music, but not about war or being a refugee. As we’re taking photos of Nezar and Kenan, the door opens and Gerrie and Merbrie, together with their Dutch teacher Tanja, enter the theatre room. Gerrie is a krar player from Eritrea. 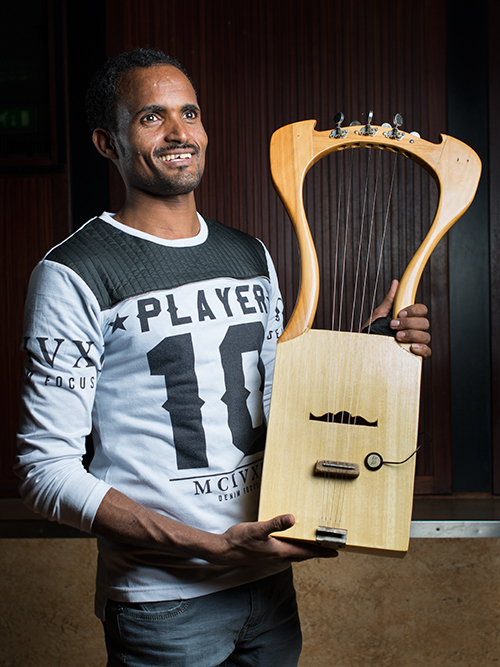 A krar is a five stringed instrument from Eritrea and Ethiopia, and Gerrie has played it ever since his father gave him one. Merbrie plays keyboard for Gerrie. When they met in De Havenstraat they found out that Gerrie’s wife is from the same village as Merbrie, and that’s how they became friends. 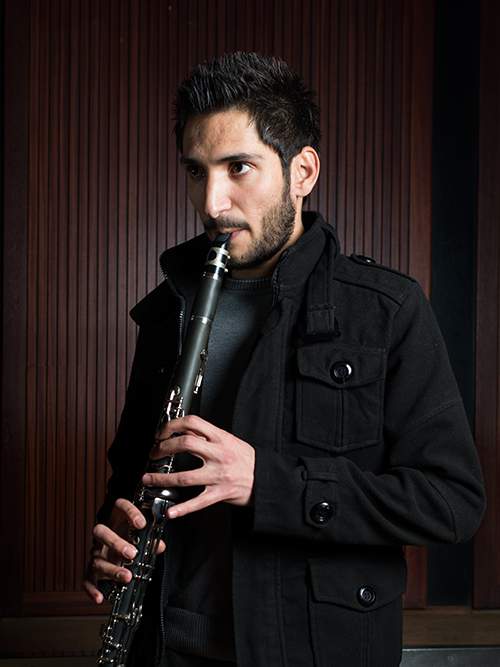 Mebrie plays the krar too, but not professionally he says. 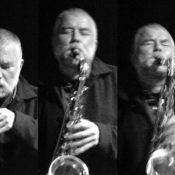 On December 19th 2015 Nezar, Kenan and Gerrie will perform at OCCII. Find more information here.